Linking two rivers, three cities and six bridges! 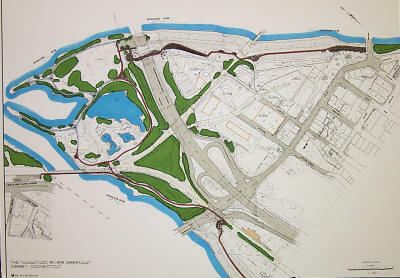 Did you know that the Derby Greenway continues to overwhelmingly be the most used of all the 16 trails being measured as part of the Connecticut Trail Census? Check out all the stats by clicking here. Click here for photo album tour. 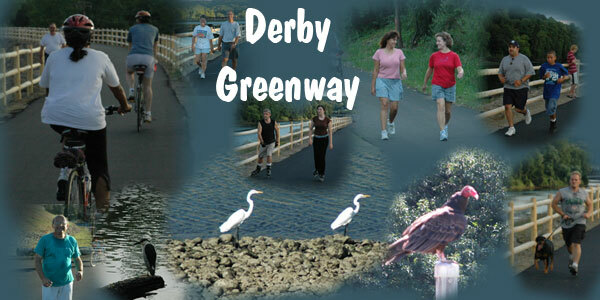 The Derby Greenway was officially opened with a dedication on Derby Day - June 25, 2006. At that point in time, the 1.7 mile trail was completely open from Main and Bridge Street to Division Street. Click here for photos from the Grand Opening. The Greenway Plaza with the restored fountain and Hall of Fame. 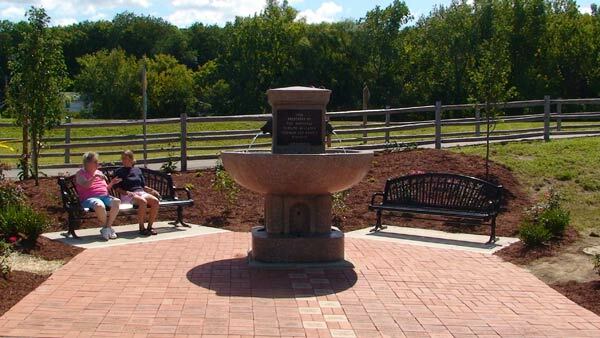 Click here for the history of the fountain. Want to see what over 300 people have put on their bricks? Click here to see the engravings on the small bricks, here to see the engravings on the larger bricks or here to see the bench engravings. Map showing the Greenway (red) ringing the old Borough of Birmingham! Click on pictures for larger images!